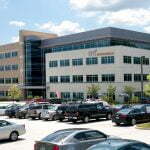 MacKenzie Commercial Real Estate Services, LLC is proud to announce that Tissue Banks International, Inc. (TBI), the largest provider of both fresh and sterile ocular tissue for transplants, has signed a lease for 11,154 square feet at bwtech@UMBC Research & Technology Park, 5520 Research Park Drive, Baltimore, Maryland. MacKenzie Senior Vice President and Principal, Joe Bradley, represented TBI in the transaction. TBI is a non-profit, non-governmental network of ocular centers that started in Baltimore in 1962 as the Medical Eye Bank of Maryland. It has since grown to span the United States and now reaches around the globe. TBI currently provides ocular tissue from centers in Maryland, New England, Florida, Texas, New Mexico and California. The Baltimore location also serves as the hub for the organization’s administrative functions. In an effort to create a more collaborative environment for staff, this new lease is a consolidation of the organization’s locations at 1730 Twin Springs Road in Baltimore County and 815 Park Avenue in Baltimore City. Located in Corporate Office Properties Trust’s BW Tech Park, a 71-acre community located adjacent to UMBC, 5520 Research Park will provide TBI with better parking, easier access for patients and donors, and convenience to BWI Thurgood Marshall Airport. The new space also includes 2,100 square feet of laboratory space. “We are excited about our new location, it will allow us to work more efficiently, provide greater value to our network of surgeons, their patients, and donors, and also help to attract and retain employees,” stated Gerald B. Seery, President of TBI. For more information on TBI, please visit www.tbionline.org. For leasing inquiries contact Joe Bradley of MacKenzie Commercial Real Estate Services at 410.494.4892 or jbradley@mackenziecommercial.com.